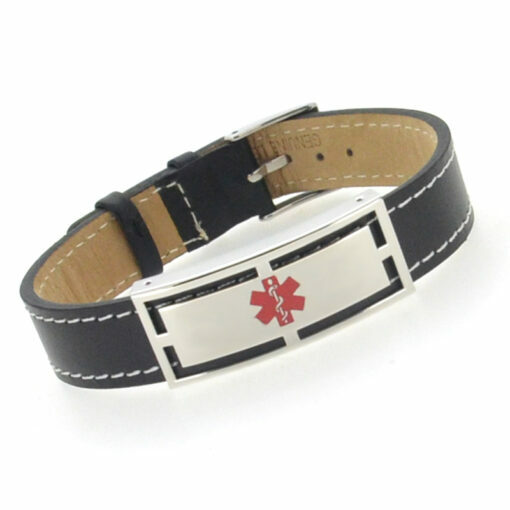 A classic black leather medical bracelet with a stainless steel engravable medical tag. This bracelet features a standard watch buckle style fastening and is available in two sizes. Medium fits wrists 6″ to 7″ (15-18cm). Large fits wrists 7″ to 8″ (18cm-20.5cm). 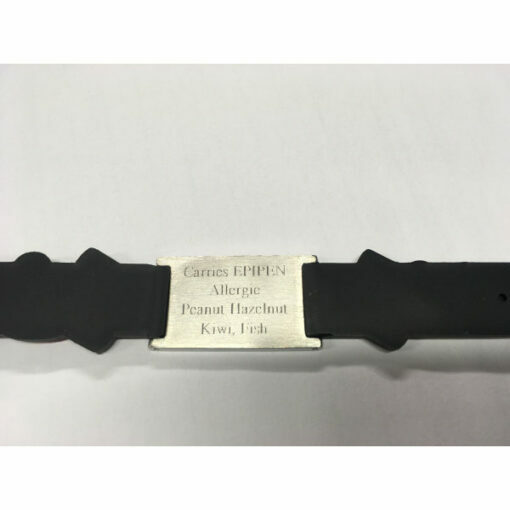 Each bracelet includes an engravable medical ID tag which can be engraved with up to 3 lines of text (25 characters per line) on the reverse of the ID tag. A classic black leather medical bracelet with a stainless steel engravable medical tag. Large fits wrists 7″ to 8″ (18cm-20.5cm). Please note, this is your actual wrist size. Do not add anything to your wrist measurement. Stainless steel, engraveable ID tag. Width: Strap 14mm. Tag 16mm. Practical, good quality, and looks great. Highly recommend. Very good quality, good appearance.